«LANGUAGE AND LANGUAGE METAPHORS IN THE NORWEGIAN WRITERS CLIMATE CAMPAGNE, PARAGRAPH 112» JENNA COUGHLIN. DEP. OF SCANDINAVIAN, UC BERKELEY/Morgenbladet, 2016. Norwegian nature became central to Norwegian national identity during the 19th century period of nation building in part through the medium of poetry. The uniqueness of Norwegian nature was important to the nation-building project, and it was important too that the language be unique—that is, distinct from other national languages. During the latter half of the 19thcentury, changes in transportation and agricultural systems, along with increased human mobility, posed challenges to the idea of the uniqueness of Norwegian nature. From the latter half of the 20th century, further challenges to the representation of nature as a unique aspect of national identity were posed first by pollution and then climate change. These threats, in particular, created an awareness of the porous nature of place—ecology has no respect for national borders and, as such, concern for the kind of “nature” that provides a basis for national identity is not necessarily sufficient to promote policy that protects the planet. This problem reflects a larger debate within ecocriticism: Although there is agreement that the nation is ill-equipped to respond to a global climate crisis, the question of what comes after remains open. On the one hand, there is an enthusiasm for local political relations. In the United States, ecocriticism began by focusing attention on nature writing, much of which focused on particular regional natures, especially wilderness areas. More recently, so-called “bioregional” movements, for which poets such as Gary Snyder and Robert Hass have advocated, seek to create political communities around shared natural resources. Poets are seen as uniquely positioned to bring nature into the human field of care by serving as witnesses to local nature and cultural traditions threatened by unbridled development and consumerism. The thinking goes: You can’t care for what you aren’t familiar with, and you won’t protect what you don’t care about. On the other hand, there are those who argue that becoming ever more local in our mindset is an ineffective way to address, in particular, the consequences of global warming, which is a slippery phenomenon. 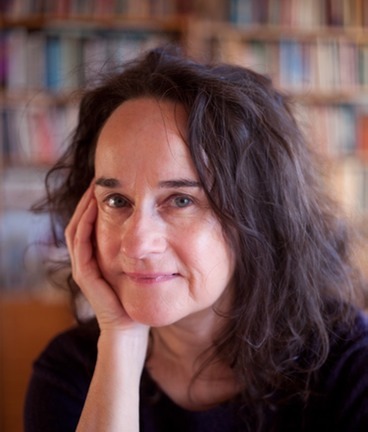 Ursula K. Heise, in the book Sense of Place and Sense of Planet (2008), argues that ecocritics’ focus on the ethics of the local has isolated the discipline from the insights of globalism studies, which explain how day-to-day local relations often involve all kinds of global connections. Similarly, Timothy Morton argues that movements such as bioregionalism are nostalgic projects, which ignore what ecological science indicates regarding the interconnectedness of things. In Hyperobjects from 2013, he argues that the abandonment of “world” as concept would enable a broader understanding of our interrelations with others based not on our care for the familiar but on an awareness of our intimacy with strangers that global ecological crises make painfully clear. Local versus global ethic. Given that nature and national identity have been so crucially connected in Norwegian cultural history, it seems fitting to ask where contemporary Norwegian poets stand on the subject of a local versus global nature ethic. I’ve chosen to examine the recent Norwegian Writer’s Climate Campaign (active from 2013-May 2016) and its accompanying website (which continues to publish new material), not so much because of its impact, which is difficult to measure, but because of the framework it provides. While in the United States there has been at least one anthology and several essay collections on ecopoetry or ecopoetics, as far as I know there have been no such anthologies coming out of Scandinavia in recent years. The Climate Campaign is the most comparable effort I’ve found, and it is interesting in how it differs from these anthologies: Although the American works certainly reflect the American historical and social context, the Climate Campaign is a more explicitly “national” project because it has its basis in §112 of the Norwegian constitution, which states: «Every person has a right to an environment that is conducive to health and to a natural environment whose productivity and diversity are maintained. Natural resources should be managed on the basis of comprehensive long-term considerations whereby this right will be safeguarded for future generations as well. In order to safeguard their right in accordance with the foregoing paragraph, citizens are entitled to information on the state of the natural environment and on the effects of any encroachment on nature that is planned or carried out. The authorities of the State shall issue specific provisions for the implementation of these principles.» On its website, the Climate Campaign further refers to the Bicentenary of the Norwegian Constitution that occurred in 2014, stating, “we will use this opportunity to highlight the moral and legal importance of Article 112, and challenge the powers to be, such as Norway’s huge so-called Oil Fund, on their investments in Canadian tar sands and other extremely damaging and dirty fossil resources.” The campaign has participated in several actions regarding specific environmental policies. In addition, the group has tried to make its publications as accessible as possible: They host a website with upwards of 150 poems and numerous prose pieces, including essays, environmental journalism and short introductions to various environmental artistic movements. In the run-up to the UN Climate Summit in Paris, a group of poets were invited to engage with the language of the UN’s 2014 Climate Report, and the subsequent poems were published in several national newspapers. The Climate Campaign, then, seeks both to serve as an education campaign by fulfilling the aspect of §112 that affirms citizens’ right to information and to be a form of democratic participation by holding elected officials accountable to existing law. The paradox involved in the nationalist orientation of the project is that the “state of the natural environment” can’t be contained within national borders, and that many of the ill effects of Norway’s climate policy disproportionately affect parts of the world that consume less and emit smaller amounts of greenhouse gasses than Norway does. How are Norwegian poets addressing these aspects of the climate crisis, then? Are they continuing a national tradition of concern for local nature, serving as a witness to the local and promoting care for it as a national democratic value? Or, do they look for ways to extend care beyond national borders? I will address these questions by looking at ways in which various contributions to the Climate Campaign attempt to redefine or perhaps extend the nation on ecological grounds, and the central role that language experimentation and language metaphors play in doing so. Multiple languages. An important aspect of the project that speaks to this is the commitment to publishing in multiple languages. This choice reflects the organization’s attention to the global nature of the crisis they are addressing, despite the more national orientation of its mission statement. Swedish and Danish poets have contributed, and they have published a series of Norwegian poems translated into English under the title “On the Way to Paris” in collaboration with the Free Word Centre in London, as well as several pieces by German poets translated into English and/or Scandinavian languages (for example, Durs Grünbein, Hendrik Rost, Mirko Bonné, and Anja Utler). Freddy Fjellheim, the current editor of the project’s website, articulates some reasons for the effort to be a multilingual project in his essay “Den nye poesien” (September 21, 2016). Fjellheim states that one of the organization’s founding goals was “to gather poets in Norway and Scandinavia, eventually also from the United States, England and Germany.” By doing this, he writes, “Poets who previously published in their own enclave would in our context contribute to a new literary fellowship under the hard sky of the climate crisis.”Fjellheim imagines a community based not on national affiliation but on the shared activity of writing and a desire to address a shared problem. He further argues that different genres (poetry, journalism, visual art) occupying the same space “sharpen each other’s qualities.” The same could be said regarding different languages: The poems I will examine here show an interest in how the etymology and meanings of words in different languages “sharpen” each other and shed light on the relationships between languages in a way that might promote understanding of our shared responsibility and vulnerability in the age of climate crisis. While Fjellheim argues that poets are situated in a uniquely close relationship to natural processes because they register them better, I think these poems at times suggest that poetic language itself is like natural processes, as ecological science has formed our view of them: It is transformative, adaptable, and brings our attention to surprising, perhaps far-flung relationships between things. The poem “Klan, 2015” by Torild Wardenær gestures to a place-based sense of belonging, but then transforms its ecological vision. It is a good poem to begin with because it has its starting point in a more traditional view of an ecological society—that is, one that is organic and stable. Wardenær begins with an image of the nation as a collective body, united in a shared experience of local nature: “We walk in the forests again, carrying with us this collective heart, it is not even our own individual selves, for we mixed our blood a long time ago, we have grown together into one body, into one great clan.” However, this image of a primal collective at one with nature ultimately doesn’t provide a harmonious vision. Rather, the collective declares its awareness that ecological interconnectedness extends beyond the forest and ensures that not only positive consequences infiltrate the system, but negative ones: “We have caused chemicals to flow into the rivers and let so much carbon dioxide blend into the Atlantic Ocean, Arctic Ocean, Indian Ocean, Pacific Ocean and Antarctic Ocean that plankton death, acidification and coral bleaching have shrunk epochs and forced together Holocene and Anthropocene, so that we can’t do anything but drag this great beggar’s heart around, gather enough oxygen for a future.” Wardenær’s poem doesn’t call for a retreat into the local but a recognition of how the local extends beyond itself, which also suggests that a widening of the notion of “clan” needs to take place. In this way, the poem places itself between the local as a point of origin and global ecological relationships as a point of origin. What further interests me is her choice of the word “klan” over “folk”: An examination of the word’s etymology suggests that drawing attention to the relationship between words is a productive way to explore ecological being. Rather than using etymology to affirm the uniqueness of a national vernacular, as historical linguistics did in the 19th century, etymology in the age of climate change can illustrate the interconnectedness of human culture that has its basis in bodily experience. The Gaelic “clan” is descended from the Latin “planta,” which means plant, but also shoot, twig or sprout, as well as the sole of the foot. The use of “clan” to denote a social group derives from the metaphor of human ancestors as branches on a tree. The idea of “to plant,” as in “to plant one’s feet” derives from an understanding that human contact with the earth resembles the relationship between plants and the earth. As the linguist George Lakoff and literary scholar Mark Johnson describe in the book Metaphors We Live By (1980), such metaphors, which derive from shared experience of the world via the human body are common in many languages. The shared experience of being vertically oriented and the prevalence of the “family tree” metaphor provide an anthropological basis for something that approaches universality, not through shared cultural values, but through perception mediated by the human body. Experimental. Another contribution by the Danish poet Peter-Clement Woetmann, “Nye digte,” is more experimental in its use of language and plays, not with modern understandings of etymology, but semantic ambiguities that can occur when different languages are intermixed in the same poem. Before discussing the poem, it’s important to add that during the fall of 2015 as the number of refugees arriving in Scandinavia increased, the Climate Campaign seemed to take a position on the relationship between climate change and the crisis in Syria. This position was implied by the publication of a poem that had been read by Frode Grytten in conjunction with the Norwegian fundraiser for refugees that aired on NRK on November 1, 2015. A link to a piece of comics journalism, “Syria’s Climate Conflict,” was posted along with the poem. This piece explained the role played by drought–intensified, according to the piece, by climate change–in sparking political unrest in Syria. Since then, several more poems addressing the refugee crisis have been published, further suggesting that the organization has taken up the connection between climate change and increased human mobility, now and in the future, as one of the “effects of … encroachment on nature” which they are informing the public about. Woetmann’s is one such poem that responds to the refugee crisis. Woetmann’s use of English, Danish, and German indicates the multiple discourses at play as well as the multiple political actors. As in other Climate Campaign poems, English stands in for the discourse of consumerism, specifically tourism, as the poem references “yellow drinks on greek coast.” But it is also used to depict an interaction between body and landscape, body and body that neither calls for identification (for example, asking the reader to imagine herself as a refugee) nor calls on the reader to look at the image of the refugee (something visual media have already demanded with an arguably objectifying and anesthetizing effect). Instead, it implicates the reader through a language of intimacy. The following lines illustrate this: “A Helt ind bag øjnene eyes of blå ind bjerge bergen/B Bjerge kroppe no corps out of blue water waves.” Woetmann plays on the double meaning of “berge”, as both “mountain” and “rescue”—so that “bjerge kroppe” can mean both “mountains bodies” and to rescue, recover or salvage bodies. It can refer to a distanced, aestheticized landscape or a compassionate action. “No corps” creates an ambiguity through the words origins in the Latin “corpus” and its reception in different languages—it suggests a group of people united in a common purpose, a definition shared amongst the languages, as well as the English “corpse,” or dead body. “No corps” can then represent both the prevention of a disaster and the absence of the human cooperation needed to prevent a disaster. The poem also plays on words that suggest water or drowning: bløde [soft], våd [wet], tears, water, the sea—The confrontation with eyes and with body parts that accrues over the course of the poem eventually creates a tone of denial, particularly in the lines, “A Kan ikke mere, not my eyes dreaming on the coast of turkey/B Not my lips så våd som oceans and cold so cold.” The emergent speaker who futilely resists identification creates a sense of implication as much as empathy: A likeness between bodies asserts itself through the slipping language, even as more language rushes in in an attempt to wash the likeness away. This resistance culminates in the final lines, “A always changing nothings changing/B Blue eyes alle porte lukket/ A You don’t need to tørre op”: You don’t need to clean up the mess, it suggests, this is not your problem, but, after all the tears that have appeared previously in the poem and the mention of closed eyes/closed doors (and/or ports?) in the line above, “tørre” can be read as a mispronunciation of “tear” and thus a warning against sentimentality: You don’t need to tear up. By giving room to apathy and denial, as well as empathy and engagement, “Nye digte” depicts a speaker’s ambiguous reaction when confronted by intimacy with human tragedy. The ambiguous language becomes a constant gesture to reassert distance that the poem suggests must be noticed and resisted. A relationship between words and people. The Norwegian poet Inger Elisabeth Hansen also deals with connections between bodies and languages in the essay “Å resirkulere lengselen” which she initially delivered at Litteraturhuset in Oslo on September 19, 2015 (published by FKA on November 11, 2015). Hansen’s essay begins with the names of the bones of the foot, a foot which in this case belongs to a person fleeing across Europe. She uses these names to trace the shared cultural history that lies at the contact point between the body of the refugee and the roads of Europe. Hansen refers to this history of travel through the name of one of these bones, “os naviculare” or “båtbein” [boat bone]: “The little boat on the great highway across Europe contains, then, a vessel, a bone shaped like a boat, possibly like a sail, a bone that can navigate, that can create forward motion, find its way.” This etymological inquiry gestures to the metaphor of human life as journey (also a widespread metaphor, according to Johnson and Lakoff), for journey as progress, and opens a view of migration not as crisis but as possibility or opportunity. Hanson uses not only linguistic methods but free association to create a relationship between words and people. The name of the three central foot bones: os cuneiforme refers to their conical shape but calls to mind the conical shape of “the world’s first known alphabet, the cuneiform alphabet from Ugarit” as she later mentions, “just north of Latakia, Assad’s hometown.” Hansen also uses the metaphors referred to in the names of the bones to suggest that human travel creates a text that can be read—that is to say, that footprints write history: “I will write that the pressure from all the cuneiform bones in all the feet on the way from the southeast toward the northwest create impressions in the asphalt, and that this constitutes a text. … There is text about exchange, property, ancestry, cities arise from the text, something like society.” By reading os cuneiforme as “cuneiform bone,” Hansen is able to use the footprints left by refugees to remind the reader of a shared cultural history that predates national mythologies. She further proposes that both writing and fleeing from danger are shared experiences, a sign of the social: “Society exists in text. That which resembles society recirculates in the alphabet. Terror is a writing off of the alphabet.” If human events are read and interpreted from a cultural historical and human perspective, she argues, society can reemerge from disruption. If meaningful connections between people and events are denied, something central to what it means to be human is denied. Hansen concludes the essay with a final bone of the foot: the phalange. In Norwegian “falanks” means a large mass, particularly a political group. Also in English, phalange, like “corps,” designates a group of people “bonded together for a common purpose, especially in support of or in opposition to some cause, a united front” (Oxford English Dictionary). The idea of a social group is embedded in the structure of the foot through the word that describes it. This is a postnational social configuration rooted in the shared fact of embodiment together with the shared act of textual production and interpretation, and it is words that both reveal and conceal these interconnections. Here, as in Wardenær’s poem, it is bodily experience that connects people and language which contains traces of this connection. The poet’s role, which Hansen acts out here, is to excavate these connections and make them visible. New consciousness of language. These examples of work published in conjunction with the Writer’s Climate Campaign address the far-reaching effects of climate change by representing an ecological being that is not necessarily harmonious, but implicates some collectives in the plight of others. Rather than depicting local nature, they reveal the intimate relationships people have to one another but which they cannot, or do not, want to see. They do this by breaking down borders between languages and demonstrating how shared bodily experiences lie hidden in different languages. For them, both the body and language are porous, open to unexpected connections. Because of poetry’s ability to awaken a new consciousness of language, the poet has a unique ability to explore words and reveal these connections. This is why poetry is so useful for pointing the way toward new and more ecological social configurations. The text is based on two presentations given at the Center for Research in Contemporary Poetry (CERCOP) conference “Experiments in Contemporary Poetry” on December 3-5, 2015 in Aalborg, Denmark and at the Department of Linguistics and Scandinavian Studies at the University of Oslo on December 7, 2015. See, for example, The Ecopoetry Anthology, Trinity University Press, 2013; Ecopoetics by Scott Knickerbocker, University of Massachusetts Press, 2012; Ecopoetry: A Critical Edition, ed. Bryson and Elder, University of Utah Press, 2002; The Literature of Waste by S. Morrison, Palgrave Macmillan, 2015. «STEINAR SIVERTSEN: «VIA THE LOCAL TO THE GLOBAL» ESSAY IN: OFTE, VIGDIS AND STEINAR SIVERTSEN (EDS. ): VOICES FROM THE NORTH. NEW WRITING FROM NORWAY. MAIA PRESS, LONDON 2008. A prose poem is often defined as a non-metrical text with full lines, divided into paragraphs rather than verses. The modern prose poem can be dated back to Charles Baudelaire’s ‘Petits poèmes en prose’, published posthumously in 1869. In a Norwegian context, however, Sigbjørn Obstfelder is often referred to as a precursor, having written a distinctive prose poem in the 1890s. Torild Wardenær, born in Stavanger in 1951, operates within the same tradition. She made her debut in 1994 with a prize-winning collection of poems, I pionertiden (In the Pioneer Age), in which she demonstrates consummate mastery not only of the descriptive prose poem and the imagist short poem, but also of more pathos-filled texts that take a metaphysical angle. Effortlessly, often with a wry little smile, she makes language sound mysterious, roving through everyday life, nature, geography, history, philosophy, imagination and the dream. Wardenær is often seized with the Metaphysical poets’ desire to employ vocabulary from different disciplines – physics, astronomy, biology, physiology – with highly surprising insights as a result. The title null komma to lux (zero point two lux, 1995) refers to the light intensity of a full moon: Wardenær, it seems, remains reluctant to switch on the floodlights and let all her secrets be revealed. Her aim in this collection is poetry that appears clear and bright but has dark corners; poems that offer resistance and rouse curiosity, following René Char’s advice that ‘the poet must leave traces of his passage, not proof’. Even more clearly than earlier works, this collection establishes Wardenær as an eruptive, painterly poet with an unconventional viewpoint. The title of Wardenær’s next collection, Houdini til minne (In memory of Houdini, 1997) alludes to the legendary American escapologist an illusionist. The uniting theme of the forty poems is the feeling of being bound – by the body, by language, in the straitjacket between birth and death – and the will to escape from what holds one back. Everyday episodes broaden out into universal, staggering questions; different spheres of life merge into each other. After this came Døgndrift (The Drift of Days and Nights, 1998), the allusive title pointing towards the core of Wardenær’s writing in terms of its themes and motifs. The first section has connotations of cyclic time – the hours roll by, the days pass, the seasons change. The concept of ‘drift’ is mainly connected to the body and desire; to something dynamic, fluid, unstable. The ambiguous, portentous title Titanporten (The Titan Gate, 2001) refers to Greek mythology, in which the Titans are demi-gods who combat Zeus for world supremacy. ‘Titan’ is also the name of one of Saturn’s moons; and evokes the light, almost unbreakable, metal titanium. A ‘gate(way)’ can be open or shut; it can represent a barrier or lead one into new spaces, new landscapes, new spheres. Most of the 56 pieces in this collection are in the form of prose poems, with long, image-packed sentences that challenge normal language, forcing the reader to think anew. A lovelorn individual once more commutes between earth, sky, body and soul; between everyday, sensual observations, metaphysical insight and visionary conceptions, incorporating contrasting emotions, surrealist dream sequences and a recurring fascination with numbers and highly diverse disciplines. Taken as a whole, the poetry in this collection is boldly demanding, full of different viewpoints and not unexpectedly making open references to other artists; ‘time’ is the thematic focal point. Pathos merges with sober statement; gravity with self-deprecation and sardonic humour. The tone fluctuates constantly, never remaining at a fixed, predictable pitch. Paradiseffekten (The Paradise Effect, 2004) emphasizes again Wardenær’s robust writing style. She retains the prose poem and the single voice, conveying an avalanche of experiences, fantasies and thoughts. As in much of her work, she employs a vocabulary that at times is linked to the sensory, at times to more intellectual deliberations, but in which the conflict between the subdued and the exuberant is ever-present, and the awareness of death is a corrective to hallelujah-tinged vitalism. The title, as always, has been chosen with care. In the idea of ‘paradise’ lie religious connotations, announcing the poet’s metaphysical concerns and the magical-utopian experiences or conceptions that are embedded in many of the poems. In contrast, an ‘effect’ refers to a more scientific cast of mind and to the rationality she alternately relies on and dismisses. Paradiseffekten comprises a variety of rhythmic and close-knit texts, including an anti-war poem and reflections on the mysterious world of figures and complex images that accompany man during his sojourn on earth. The poems travel up and down like a lift between various levels of meaning, without coming to rest in an individual line or formulation. Wardenær works like Pablo Neruda in Canto General, piling up words, building and embroidering, attaining a massive block-like effect via a powerful, unorthodox discharge of the imagination. The title of Wardenær’s most recent 2007 collection, psi, refers to the penultimate letter of the Greek alphabet an is also a symbol used in mathematics and logic; more specifically, it is the symbol of the quantum physicist Schrödinger’s wave equation. Via a bundle of numbered prose poems – all with the same initial word, ‘Arvestykke’ (something inherited), in the title – the collection builds on Wardenær’s ambitious project, switching between the languages of science, mathematics and metaphysics to achieve new insights. Unsurprisingly, it deals with ideas associated with both material and aesthetic inheritance. Torild Wardenær has also translated work by the American poet James Tate and has written plays for various Norwegian theaters. PHILIP BRADY: AN INTRODUCTION TO TORILD WARDENÆR´S «THE DRIFT OF DAYS AND NIGHTS"
I FIRST MET Torild Wardenær at Fundacion Valparaiso, a writers and artists colony on the coast of Andalusia in Spain. In fact, it was there in that brilliant swath of desert between the Mediterranean and the white cliffs of the town of Mojacar that Torild composed "The Drift of Days and Nights," which Artful Dodge now has the privilege to offer to American readers. Though she and I spent a few languorous afternoons transposing her Norwegian into English, it wasn't until a year later, when Torild sent me John Irons' translations, that I saw laid out before me a landscape as magical as the Andalusian desert where these poems were conceived. But the landscape of "The Drift of Days and Nights" is not one a tourist of Spain or Norway would recognize. Nor is it solely an internal landscape, a map of the mind at play, though it is that too. These poems instead explore the space where the sublunary and eternal touch. That sounds like rarefied air, but here it's a recognizable, even intimate space, teeming with the quotidian and the cosmic: fennel, car mirrors and nebula. It is a stratum created from the aura of named things; no, not the aura; the fever, a vitality threatening to implode. Whether Wardenær describes traffic in a city tunnel, or the contents of her refrigerator, or "toes that feel squeezed even in the best shoes," always these poems spiral out from a force inside the enclosed space. Their power derives not only from the plenitude of things seen and named, but from the reassortment of the great and small; the world shaken and reassembled slightly off the mark so that we almost see the fault lines. "All of it," Wardenær reminds us, is "caused by a friction, a movement which I begin." But friction here does not sand the world down to the merely ironic; we are not asked to choose between alternative realities. Rather, "The Drift of Days and Nights" is just that; a permeation, a drift, a fabric made from striations of light and dark. Much has been made of the question of form in prose poems; whether such a thing isn't an oxymoron. These prose poems address that question; not directly; these are not reflexive or rhetorical pieces. But they address the question by revealing one source of poetic form: the need to make something that feels as liberating and as pressured as the life of a human form. With relaxed speed, in a voice that shifts from comic to elegiac, Wardenær shows us that poetry is never a matter of scale, that its gift is to make us see Blake's "eternity in a grain of sand, infinity in an hour." Ultimately, the form of these poems derives from the tension they maintain; gracefully, elegantly; between poetry and prose, day and night, air and space, identity and anonymity, life and death. This is their form-though not perhaps immediately apprehended. It is a form that comes to us slowly, by accretion, and it asks more from us than our attention: it asks our participation, asks us to enter the in-betweenness and feel the consequences of "the small movements [we] perform: a rolling of the neck, nails across a slightly shaky surface, the decision to add extra weight to the short day."